Joe Enook, a longtime Nunavut public servant and Speaker of the territory’s Legislative Assembly, has died. Enook became the MLA for Tununiq after winning a byelection in 2011. He was re-elected twice. Enook died on Friday evening in a hospital in Ottawa. He was 61 years old. With an infectious smile, though never shy of speaking truth to power, Enook served as a vocal MLA in the Legislative Assembly, until he was acclaimed as the Speaker by his colleagues in 2017. Enook carried his characteristic candour into his new role, ensuring his colleagues respected the decorum of the House, and steered them back on track when he felt debate starting to waver, according to the premier. “He didn’t have any issue with telling it how it is. He worked very hard for his constituents and he was a hard-working MLA,” said Nunavut Premier Joe Savikataaq, adding that Enook raised the bar for the Speaker position. Enook was born in an outpost camp near Pond Inlet, Nunavut, in 1957. His family lived in several outpost camps before ultimately relocating to Mittimatalik (the community’s Inuktitut name). He would go on to serve as chair of the Baffin Divisional Board of Education and was a member of the Pond Inlet education council. Enook also worked as the executive assistant to the president of Nunavut Tunngavik Inc., which represents Inuit in Nunavut, from 1994 to 2000, and as vice-president of the Nunasi Corp., an Inuit business development corporation, from 2000 to 2011. He is described by his friends and colleagues as someone who put his community and his constituents above himself. “Joe Enook could have been any minister he wanted to be in that Legislative Assembly,” said Fred Hunt, a lifelong friend who was the first person Enook would call after winning each of his three elections. It was Hunt who hired Enook at the Nunasi Corp., and later encouraged him to get into politics. Enook’s lasting legacy may arguably be his efforts to secure Pond Inlet’s small craft harbour project, say leaders. “When Joe first got elected, he was super vocal and worked hard to get a small craft harbour for his community,” said Hudson Bay MLA Allan Rumbolt, who met Enook on Enook’s first day as MLA. Savikataaq also pointed to the small craft harbour as the issue closest to Enook’s heart. “It didn’t matter what you were talking about. You could be talking about replacing a door in a school and somehow the conversation would end up being the small craft harbour for Pond Inlet,” Savikataaq said. 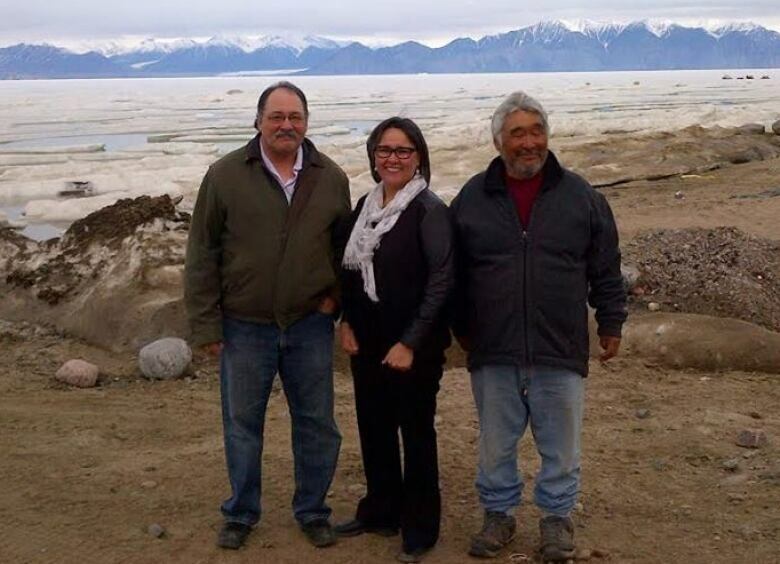 Enook also was vocal in establishing Pond Inlet as a regional transportation hub for the eastern Arctic. During his 2017 election campaign, he warned the challenge in the coming years will be to balance the pressures of commercial and tourist traffic, against the need to preserve and protect the environment for traditional Inuit ways of life. Another of Enook’s lasting legacies is his determination in promoting the use of Inuktitut in the House. As both MLA and Speaker, seldom did he ever address the House in English. 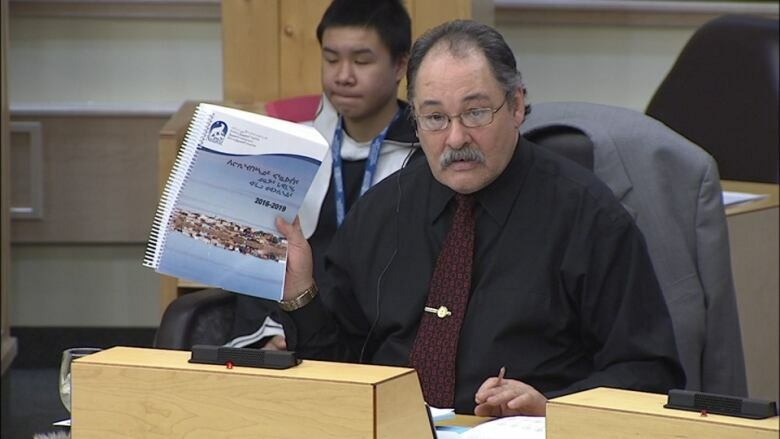 “He was very adamant and a strong believer of keeping the Inuktitut language, and making sure all the constituents of Nunavut understood what was going on in the assembly,” said Deputy Speaker Simeon Mikkungwak, who was Enook’s seatmate in Nunavut’s fourth assembly. Outside the House, Enook was an avid local hockey patron and loved watching his grandchildren play the game. Around the halls of the Legislature, Savikataaq said, even after heated debates, he could always sit down with Enook for a cup of coffee. Enook took that same approach when Savikataaq and Rumbolt would often tease their friend over how he couldn’t grill the government anymore since he had become Speaker. “We’d always joke to him that he doesn’t matter anymore because he can’t ask questions. He’s just the Speaker,” Savikataaq said, chuckling. When Enook accepted the position of Speaker of the House, he again called his lifelong friend, Hunt, to confide in him. “He said, ‘Have I made a mistake?” Hunt recalled. “And I said ‘No you have not, Joe. You deserve to be the Speaker of the House. You can still represent your people, and you’ll be a great Speaker.’ But he was worried it would diminish his ability to represent his constituents.